Is your leadership built for scale as you advance in today’s volatile, uncertain, dynamic, and disruptive business environment? This context puts a premium on a very particular kind leadership—High-Creative leadership capable of rapidly growing the organization while simultaneously transforming it into more agile, innovative, adaptive and engaging workplace. The research presented in this book suggests that senior leaders can describe the High-Creative leadership with surprising clarity. They also describe with equal precision the High-Reactive leadership that cancels itself out and seriously limits scale. Which type of leader are you? 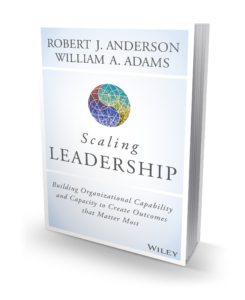 Scaling Leadership provides a proven framework for magnifying agile and scalable leadership in your organization. Scalable leadership drives forward-momentum by multiplying high-achieving leaders at scale so that growth, productivity and innovation increase exponentially. Creative leaders multiply their strengths beyond technical competence by leading in deep relationship, with radical humanity, passion and integrity. Robert J. Anderson is the founder, chairman, and chief creative officer of The Leadership Circle and the Full Circle Group. He has been a pacesetter and visionary in the leadership development field for 30 years. Anderson has created and conducted intensive developmental workshops for managers and leaders. Seeking an effective leadership assessment tool, yet finding none that did it all, Anderson created The Leadership Circle Profile (LCP)—the first of its kind, a 360-degree feedback tool integrating behavioral competencies with underlying motivational systems. The LCP is in use throughout Anderson’s consultant network, in universities, major U.S. government agencies, by Fortune 500 organizations and large consulting firms. William A. Adams has worked with CEOs, senior leaders, and boards of directors as a leadership consultant and trusted advisor for over 30 years. Clients include the CEOs and teams of major Fortune 500 corporations (public and private), non-profits and private equity start-up businesses. He works with executives in the areas of business transformation, leadership effectiveness, performance improvement, strategy alignment and execution. He has extensive experience with clients in energy, health care, high tech, telecommunications, manufacturing, hospitality, finance and higher education. 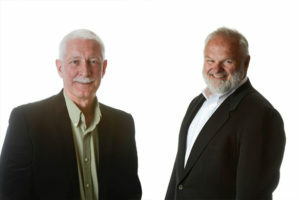 Bill has worked with many of the top thought leaders in the field, and is a frequent speaker on effective leadership.